I would just like to take a moment to thank the visitors to my web site. I have seen a large growth in the amount of people visiting my home on the Internet in the last 6 months. There has been a 5 fold increase in the number of visitors. This has encouraged me and I plan on increasing the how to posts and having more detailed reviews. Thanks for visiting and please tell your friends, the more the merrier. As I said in my last post I was invited to the Leica Store in Las Vegas to check out the new Leica Q2. I was able to spend sometime going over it’s new features and comparing it to the previous version that is remaining on sale for the foreseeable future. 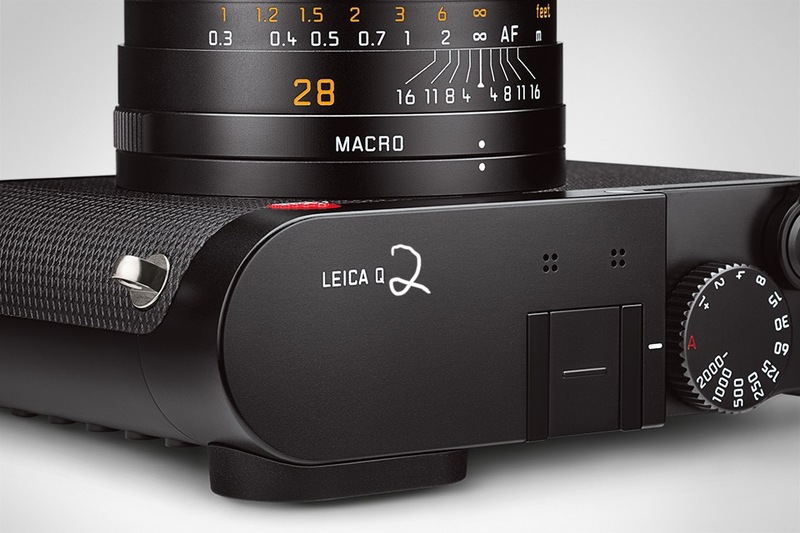 The new Q2 is a refinement of Leica’s bestselling camera. At first glance they appear to be the same camera but the few differences makes this camera truly remarkable. The headline feature is the upgrade of the sensor to 47.3 million pixels. That’s some big files. The dynamic range is a full 14 stops with 14 bit color which explains the image quantity that the Leica Q has been so famous for. When thecamera digitally crops the image to get the other focal length equivalents the resulting image sizes are as follows: 28mm-47mp, 35mm-30mp, 50mm-15mp, 75mm-7mp. The lens is the same 28mm f1.7ASPH, 11 elements in 9 groups with 3 aspherical elements. The camera is now sealed against dust and water spray so it can almost go anywhere where with the active user. Although it’s not a big video machine it will shoot video up to 4K at 24fps and full hd at 24,30,60,and 120 FPS. Autofocus metering modes are single zone, multi-field, face recognition, and subject tracking. The mechanical shutter is 60 seconds to 1/2000 with an electronic shutter that goes to 1/40000 of a second. Continuous advance is at 3/5/10 frames per second. The on/off switch is more like the M10 switch. The viewfinder is a new OLED design at 3.68MP. Thankfully the diopter has been redesigned and now locks in place after the adjustment. 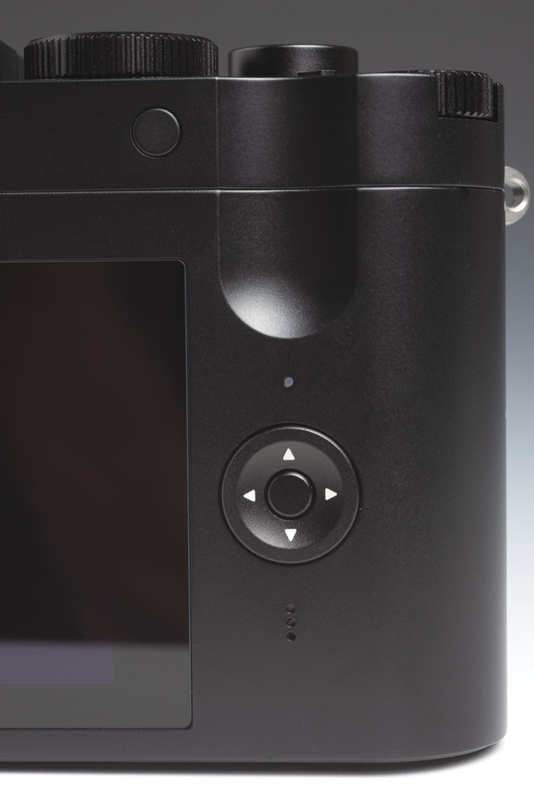 The back buttons now resemble those on the Leica CL. The battery is the same as in the Leica SL giving about 350 shots on a charge. Hopefully that won’t change with this summers revision. The FOTOS app has been updated to work with the new Q2. In use the camera feels exactly like the previous version. To me focus seemed a little faster but I didn’t do any scientific tests. The Leica Q is Leica’s best selling camera, yes it outsells the M series. The new Q2 really is an even better camera. I heard that at the Leica flagship store in Los Angeles there were over 150 people at the Q2 release party. I passed on the original camera but my name is on the list for this version. It’s only March but the Leica Q2 is the leading contender for camera of the year. I was invited to introduction of the Leica Q2 and I choose to attend the one at the Las Vegas Leica Store. First off it was a good time enjoyed by all. The store gave out gift bags for those who were invited. Always nice to get Leica goodies. The highlights were a red dot camera hat, a Leica logo water bottle and a premium lens cleaning cloth. Very nice. I will have a separate post about my impressions of the Leica Q2 coming soon. If your a big Leica fan the Leica Museum book by Lars Netopil is a must have addition to your library. 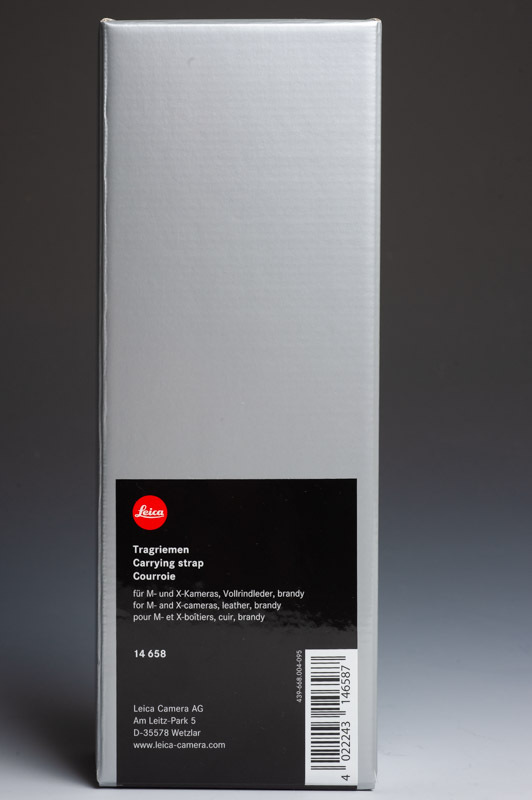 This set of books is different than most Leica reference books. It tells the history of Leica through photos of their cameras and is light on technical information. That is both good and bad. The quality of the photos are much better than most camera history books. And then there is the sheer volume of them. The Leica Museum book would make a great coffee table book. Great to pick up from time to time just to browse. It’s nice that the books go beyond just a photo or two for each model. There are also lots of rare models and prototypes. These I find of particular interest. I enjoy seeing how designers go through various design choices to end with the models that we end up buying. The new Factory Museum at Leitz Park - including items from the Rolf Fricke Collection by Lars Netopil. Lars Netopil has compiled an exhaustive volume to illustrate what future visitors to the Leica Museum can look forward to discovering. The Leica expert and historian, who also owns a Leica Store for vintage and contemporary cameras in Wetzlar’s Old Town, has published several books within his field in the past. For this endeavour, his well-established team has documented the treasures to be displayed at Leica’s factory museum. The book was designed by David Pitzer, the over 600, mostly large-format photographs were created by Wolfgang Sauer. In 36 chapters, the essential exhibits from the inventory of the new Leica Factory Museum are described - from the UR-Leica to the red anodized Leica. There are only 2 negatives that I have to say about the books. First, from a commercial photographers view I wish the shadows had been filled in. Sometimes the light falls off to abruptly. Second, there are a lot of white marks on the pages from paper dust in the printing process. But don’t let these flaws keep you away from these 2 books. There is a lot of information packed into these 2 volumes. The latest issue of the LFI magazine has arrived. I always look forward to each issue. I subscribe to three photography magazines. The Leica LFI which I have subscribed to for over 30 years. APERTURE magazine which comes and goes depending on how I am feeling about the latest issue. And LENSWORK, which I like because it just does portfolios and no equipment news. In the pre-internet days the LFI magazine was the only venue for Leica news and reports. The rest of the mainstream magazines ignored Leica products. They only time they were mentioned was when a new camera or lens was introduced and that seemed like it only happened during solar eclipses. I enjoy looking at the old magazines from time to time. Before digital there were just 2 lines of cameras. The “R” line which was the SLR. And the “M” line which are the rangefinders. I always kinda felt like the “R” line was treated like a second class citizen. The reporting was more specification based, not opinion based like today. Nowadays camera reviews are more like reading the opinion page of a newspaper and less like just the facts on the front page. 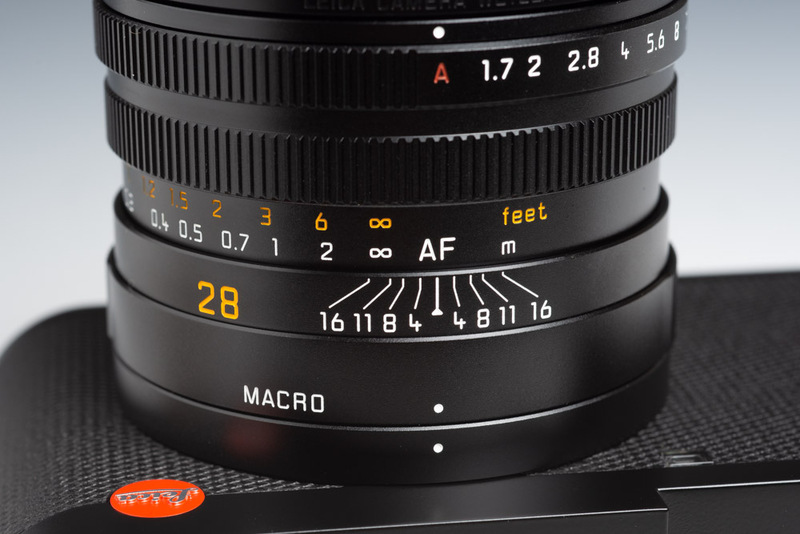 Leica has released 3 limited edition lenses based on current production models. They are the 28mm 5.6 Summaron in black paint, the 28mm 1.4 Summilux in silver finish and the 50mm 2.0 APO with the scalloped focusing ring. Info from the press release is below followed by comments. If you have gone through the reviews on this site you may have noticed that I own the Silver Chrome version of the 28mm 5.6 Summaron. I am very happy with the results that I have been getting with this lens and really enjoy the retro look. It is small and light and takes up practically no room in my bag. I am considering picking up the black paint version just so that I can own both copies. 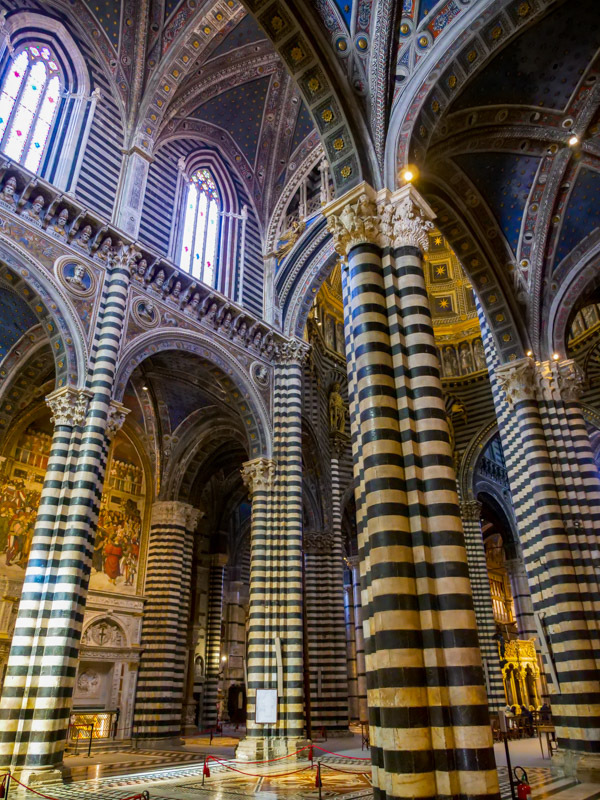 Thanks to the Leica Store in Bologna, Italy, for their help on a recent trip. My daughter stopped in and they were helpful and courteous to her. Traveling with a Leica is such a joy. My entire kit weighs less than my studio camera and lens. It is easy to get caught up in gear acquisition that some people forget the reason for getting a camera in the first place. For me it is creating art and making memories. Most of my street photography has been made with either a 50mm or 35mm lens. I have never gone hunting for images with all of me lenses. First I don’t like changing lenses. Like I have said before, I always seem to have the wrong lens on the camera. And I really don’t like carrying a heavy camera bag. I become very focused when shooting so I tend to limit my equipment. Of course when I have a shot list and I know a ultra wide-angle is going to be needed it is added to the bag. When doing travel photography I find the researching a location before leaving home is the best insurance for getting quality images. Just walking around looking for images will sometimes pay off but don’t count on getting lucky. Also slow down. Sitting down and waiting for the right clouds or for someone with the right color of dress to walk by can make all of the difference. Photography is not a race to see who can get the most images. A few well composed images are much better that a hundred snapshots. Another strategy I have when shooting is to get to know the people of the area. We are all on our best behavior when talking to strangers and I have met some truly fascinating people over the years. Most people are more that happy to help suggest locations to photograph. But besides taking photos it’s just nice to talk to people. Yes, people are divided on opinions more that ever but spend some time getting to know people that are different than yourself. That is a great way to grow as a person. So log off from the forums. Stop watching gear reviews. Get out and exercise you shutter. 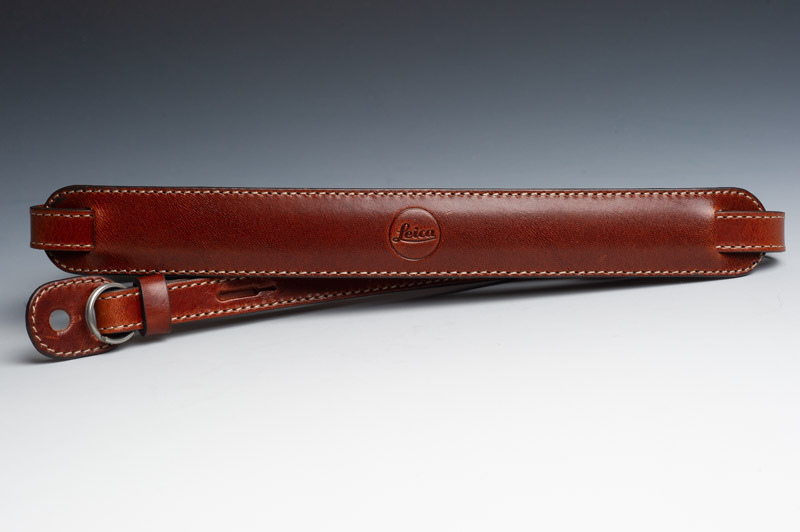 My daughter, bless her, picked up a leather carry strap from Leica for me. 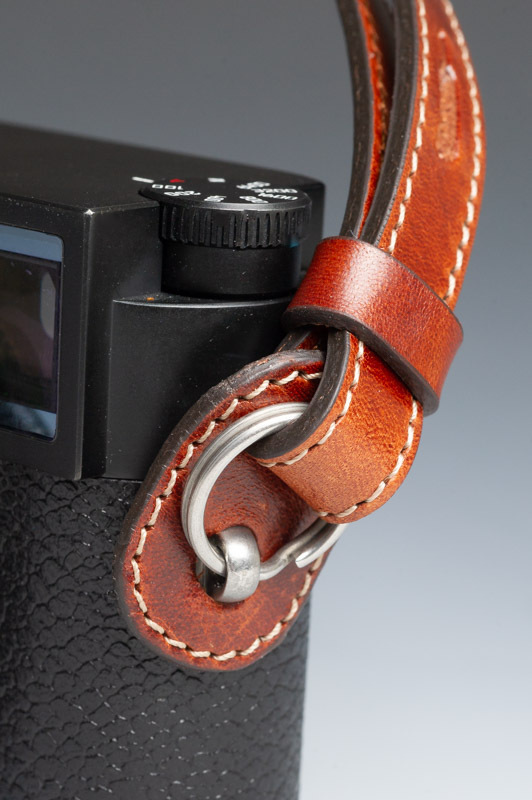 I have not been thrilled with the strap that comes with the camera because it slides off of my shoulder all of the time because it is so narrow. I’ve been switching between my collection of straps trying to find one that I liked better. I keep going back to the strap that came with my Leica M6. The shoulder pad is grippy but it has the split rings and the friction clasp on the ends that I have never liked. 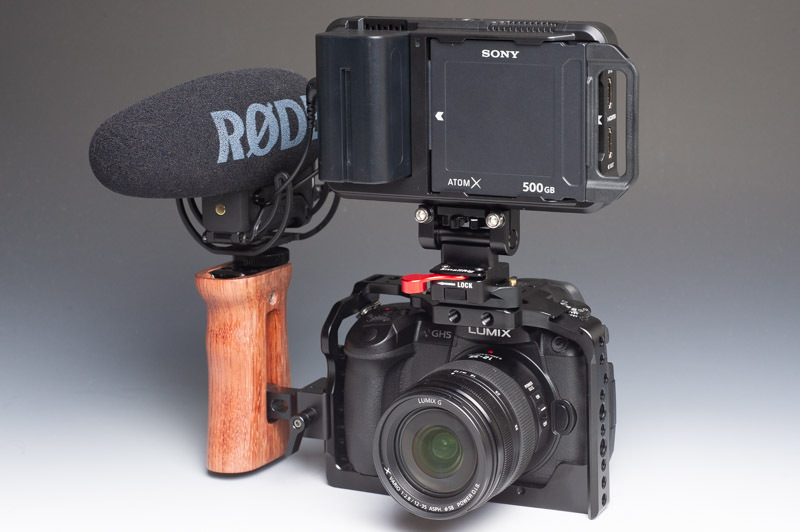 This new strap is model 14 658 and is part of the al a Carte series of build your own “M” camera system. It is a matte leather strap with a shoulder pad and the color is Brandy. It also comes in Boyseberry, Cement Gray, Coffee Bean, Dark Blue, Red, and Khaki Green. With the pressed Leica logo on the shoulder pad, the inside of the pad has a non-slip lining that helps the strap stay on the shoulder. The strap can be adjusted to three different lengths: 45 inches, 42 inches, or 39 inches. It is one of the few leather straps that has an adjustable length. Like all new leather straps it is a bit slick and stiff. I’m sure in a month or so it will soften up. I like to wrap straps around my wrist when shooting so they usually break in pretty fast. For me the best part is the shoulder pad. It helps to keep the strap from sliding of the shoulder. I have been known to put small pieces of double sided tape on camera shoulder pads to help them stay in place. I just replace the strips every couple of months. A little bit goes a long way. Camera straps are like camera bags. You can collect quite a few while search for the Holy Grail. This strap checks the boxes for my needs, only time will tell how long it stays on my camera. Jurgen Schadeberg was born in Berlin in 1931 and, while still in his teens, worked as an apprentice photographer for a German Press Agency in Hamburg. In 1950 he emigrated to South Africa and became Chief Photographer, Picture Editor and Art Director on Drum Magazine. It was during this time that Jurgen photographed pivotal moments in the lives of South Africans in the fifties. These photographs represent the life and struggle of South Africans during Apartheid and include important figures in South Africa’s history such as Nelson Mandela, Moroka, Walter Sisulu, Yusuf Dadoo, Huddleston and many others who have been documented at key moments such as during The Defiance Campaign of 1952, The Treason Trial of 1958, The Sophiatown Removals and the Sharpeville Funeral in 1960. The life that this man has lived is difficult for most of us to relate to. He was not just a photographer he was a social activist that put his life on the line for others many times in his career. This award is for a man that the term “Photographer” just doesn’t do justice for. He stood up and made a difference. We live in an age when people are given the title “ A Great Photographer” because they have X number of Instagram followers. Jürgen Schadeberg is not just a great Leica Photographer, he is a great man. Congratulations for a well deserved lifetime award. Spy photo of the Leica Q2. Come on, have a sense of humor. What has to be the worst kept secret in the Leica world these days is the pending introduction of the Leica Q2. Although there is not much that needs to be changed cameras are updated from time to time because that is how the companies make money. A friend of mine that has owned a camera store in Los Angeles for close to forty years told me that most of the sales of a new model are in the first 90 days of a camera’s release. It is in a companies interest to get some hype around the release of a new model. The Leica Q has been a very successful model for Leica. Salesmen and the manufacturer representative have both told me how the “Q” has been a big surprise for the company. When it was introduced many pundits were down on the camera because of the choice of a 28mm lens. Turns out that was a good decision on the part of the company. When purchasing the “Q” you are buying a high quality 28mm f 1.7 lens and getting the body as an added bonus. 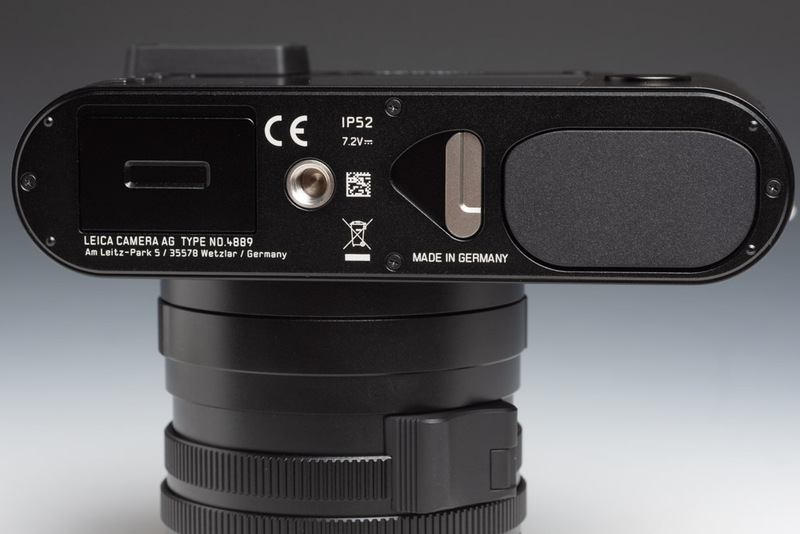 The camera appeals to both first time Leica users and to current users that would like to have an autofocus second body. The Leica Q2 looks to be the same as the current camera with the addition of a higher megapixel sensor and waterproofing. Talk is that the sensor fill be in the 45-50 MB range. The crop settings for the camera will be at 35mm, 50mm, and 75mm in addition to the native 28mm lens. 75mm is a nice addition but not a desperate need to the camera. My concern is that a lot bigger files will need a lot more hard drive space for storage. Those will be big files for the occasional 75mm crop factor. I have gone to the Leica Store twice with the intention of buying the Leica Q. Both times I changed my mind because of the fixed 28mm lens. I really like the concept of the camera and it has an exceptional build quality. It feels like a real Leica. But I’m a 50mm guy at heart and I don’t feel comfortable going out with just that focal length. I own the 28mm Summaron 5.6 lens and I enjoy shooting with it but it has a specific look that is not what I want for all of my images. I’m sure the Leica Q2 will be a success and I will recommend the camera, it’s just not for me. After a positive experience with SmallRig products for attaching an Atomos Ninja V to my DJI Ronin-S I decided to go with their modular system for my Panasonic LUMIX GH-5 video setup. The LUMIX GH-5 is a versatile camera that takes great still photographs but has a reputation for being high quality camera for video shoots. I have decided to just put together a basic kit and then just add parts as needed. The camera is is enclosed in a SmallRig #2049 cage. This is the basic cage that everything else is attached to. 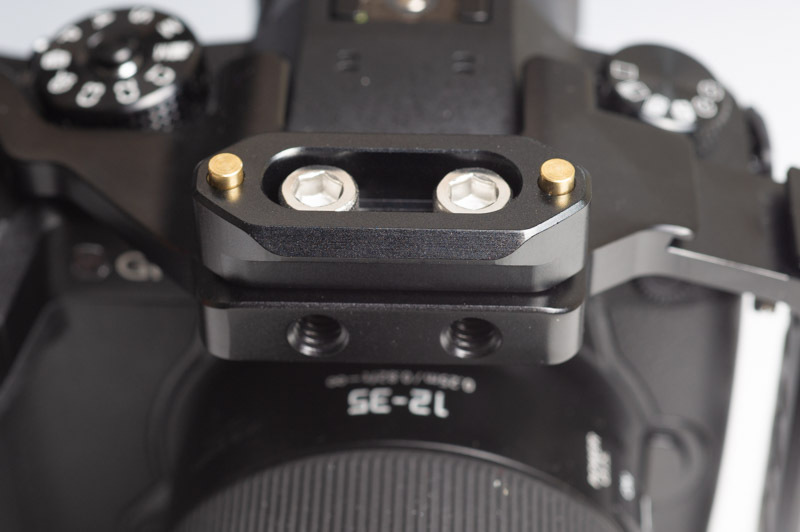 It is attached to the camera with a 1/4-20 screw that attaches to the camera tripod socket. The cage wraps around the camera but allows access to all of the dials and buttons of the camera. There are both 1/4-20 and 3/8th holes around the cage for attaching accessories. Everyone has different ways that they like the camera set-up so it is kind of a Lego builders fantasy. My first addition to the camera cage was something called a Nato #2172 rail. This has a beveled edge for sliding attachments on to the rail that are then locked into place. The rail is permanently attached with screws. 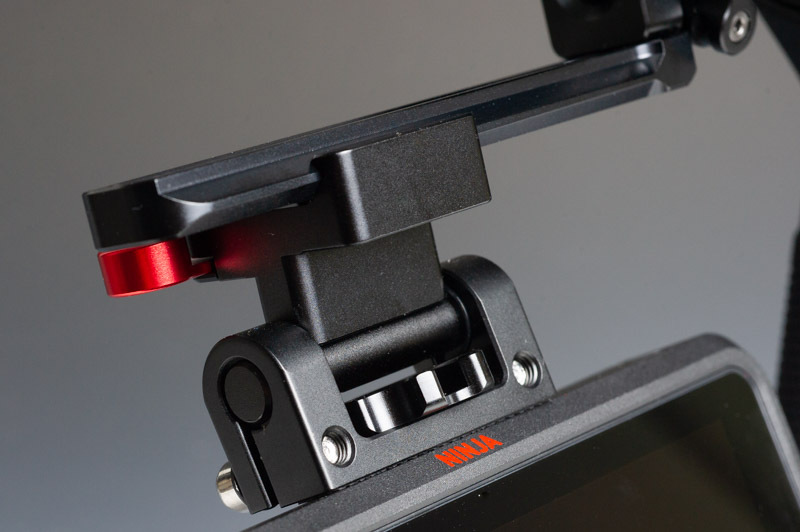 A monitor attachment that I use to attach my Ninja V to my gimbal is attached to the Nato rail so that I can use it for recording the highest quality video that I can get from my camera. I just slide the lever to unlock it from the rail on my gimbal and slide it onto the rail on the top of my camera. What a great design. Next I attached a Wooden Nato Side Handle #2187 to the side of the cage. This grip has a cold shoe on the top and a couple of mounting holes. I attached a RØDE Videomic Pro Plus to the cold shoe on the top. Now I can record high quality sound and video on the go. The grip is attached to the NATO rail that is built-in to the side of the cage. The grip can be attached to either side of the cage because the arm can be attached on the left or the right side of the grip. Very handy. There is even a hex wrench stored in the top of the grip for working the screws. I might even get another grip for the other side for more stability for when shooting handheld. This is my basic set-up for run and gun video. I plan on adding a rail system on the bottom so that I can expand the camera for more formal shooting. I will be able to add a pull focus system, a Matt box, a shoulder pad, and a platform to mount a battery system for extended shooting sessions. And all I have to do to shoot with the gimbal is strip items off the cage and mount the camera on to the gimbal for steadycam work. I am so impressed with the quality of the SmallRig products. Everything fits perfectly and there is no flexing or loose fitting joints. It is a rock solid set-up. As my camera changes I just get the appropriate cage and reuse everything on the new camera. This has been a great investment and it makes shooting so much easier. I usually have nothing but good things to say about my Leica experience but I must admit I’m disappointed with Leica this time. This is not the first time that I’ve sent a product to Leica for repair. Usually it takes a little longer than normal but I don’t mind because Leica is a small company and I’m paying a premium to get it done correctly. But this time has gotten to be too much. I sent my 35mm Summicron from the pre-digital days to be converted to 6-bit so that the lens info would be written in the data stored in the files. There is nothing wrong with the lens, I just wanted the lens mounted updated to 6-bit. I was quoted 3 months for estimate and repair at the Leica Store. It took almost 2 months just for the estimate. I am almost at 6 and 1/2 months so I called and they are going to try to get it back in about a week. Leica, if you can hear me, you must do a better job at repairs. Leica Rumors even recently posted that repairs is one of the areas that the company needs to improve. It makes it hard to do work with a tool when the manufacturer takes over 6 months to do a simple repair. This has been a long time without my favorite wide-angle lens. I am a Nikon Professional Services member and they do make repairs a priority for working professionals. Leica please bring back your program for professional photographers. After 203 days my lens has been returned. The use of hybrid cameras for shooting video has been mainstream for a number of years. It seems like employers of still photographers are expecting them to shoot video as well as stills. Handheld gimbals are getting as common as camera bags in a photographers toolkit. One of the most popular is the DJI Ronin-S gimbal. 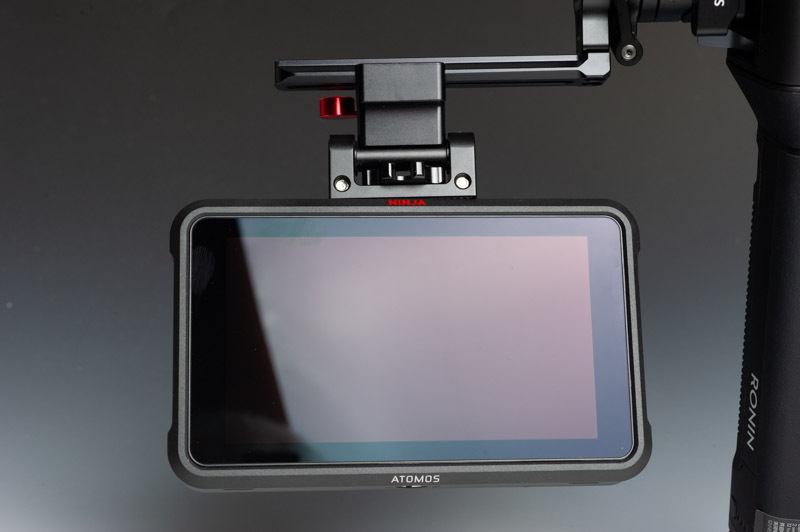 The Ronin-S is great but is missing the ability to use a monitor such as the Atomos Ninja V monitor-recorder that is so popular these days. 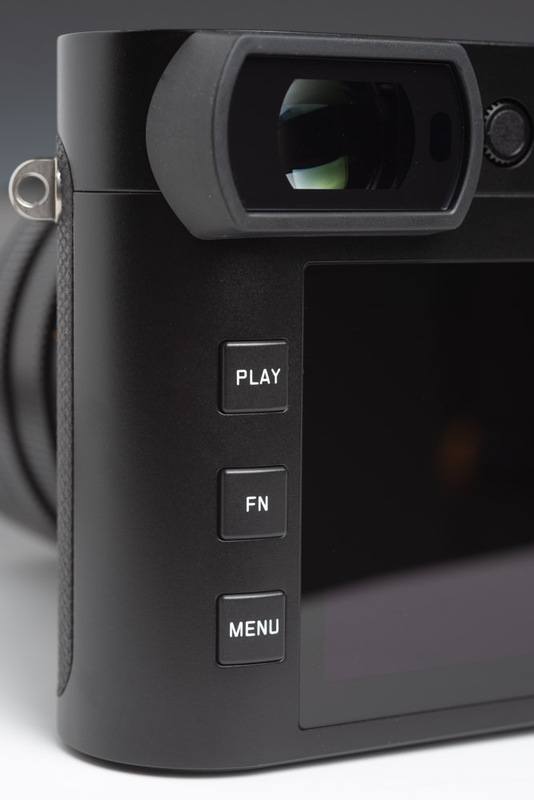 The Ninja V is great to work with and it makes it so much easier to shoot and edit videos. I have been aware of a company called SmallRig that makes cages and accessories for mostly Dslr’s and Mirrorless cameras. My understanding is that they make top quality products. I came across a YouTube video on how to attach a different brand monitor to the DJI gimbal so I ordered the parts for my setup. 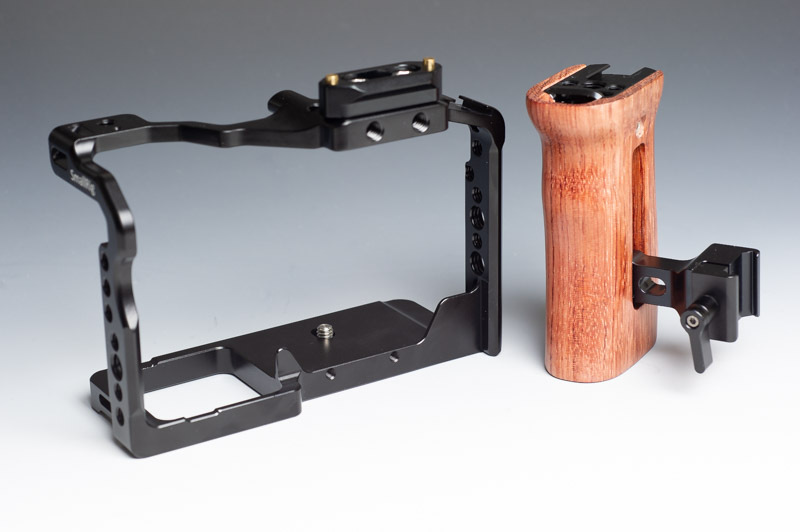 The three parts that are needed are as follows: Smallrig Mounting Plate for Ronin-S #2214, Smallrig DSLR Monitor Holder with Nato Clamp #2100, and Smallrig ENF Mount with Nato Rail #2113. The first step is to remove the accessory cover plate of the Ronin-S with the supplied hex tool. Attach the Mount Holder with the attached screws. Attach the Monitor Holder Mount to the Holder. Then attach the ENF Monitor Mount to the Ninja V. Slide this attachment onto the attached arm and adjust for the proper viewing angle. It takes longer to describe than to do the work. Now you just attach a HDMI cable to the port on the camera and the monitor and your in business. The setup is a little heavy after long use but the quality of the work that can be achieved is well worth the trouble. This level of filmmaking was only achievable by the big movie studios just a few years ago. The little gadgets are really the things that make life so much easier. The SmallRig accessories are made with an attention to detail that I really appreciate. I plan on looking forward to getting one of their camera cages for my LUMIX GH-5 and tricking it out with some of the attachments that are available. Photographers are like Moths, they are drawn to the Light. Never has a truer thing been said. Photography is not about cameras. It’s not about the subject. It’s about the Light. Without the play of light and shadows, contrast and color, texture and reflections that good light produces the subject just has no reason to be photographed. As I was waiting for my wife and daughter to return from shopping I was walking through the shopping area just people watching. It was about a half hour after sunset and the lights were just coming on. I started shooting working one area to the next and after about three sets of images I stopped to chimp for a moment. As I looked away from my camera and looked back to where I had just been shooting all I could notice was the pool of light at each place that I had stopped. I wasn’t looking for subjects, I was looking for light. The light was what made the images. In the photo from above I would not have taken a second glance at the area during the day. But at night there was a spotlight that was being reflected from a glass wall that was illuminating this area that caught my attention. The image was an obvious black and white conversion just waiting to happen. When you are street shooting I have learned that the first thing I look for is the moment. An expression, contrasting subjects, humor. But I get pulled to areas that have “the light”. I just instinctively know that this is an area that I need to check out. Because that is what photography is all about, the light. When you find the light sometimes all you have to do is take an image of the light. A strong photo can be taken of just light, no subject needed. After you get past the basics of photography you realize that it is the light that makes the image. Take a look at the work of the big name fashion photographers. It’s all about composition and lighting. They are magicians of light. Google the work of Irving Penn. That’s the work of a real master. If you want to take your work to the next level, work on your lighting skills. Anybody can setup a light and snap an image. Learn to say something with light. Develop a lighting style. People will be drawn to your work like moths when you find the light.